Looking for Penn Dental Family Practice? 3 FAQs: How do I Get Affordable Straight Teeth? 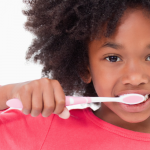 Many people feel nervous about going to the dentist for a wide variety of reasons. Unfortunately, this nervous feeling can keep many patients from going to the dentist at all even for routine cleanings. 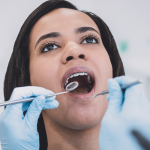 Neglecting regular check-ups is often how patients end up with bigger dental problems: cavities, root canals and issues that require orthodontic treatment. At Penn Dental Medicine, combating misinformation is one of our goals, as both a dental clinic and an educational institution. Fear of the unknown is perfectly natural, so part of our mission is to inform you before you even see one of our skilled student dentists. In this blog, we’ll discuss some questions people frequently ask about getting affordable straight teeth. Affordable Straight Teeth: Your Questions, Answered. My wisdom teeth haven’t come in yet; will they need to be pulled? If your wisdom teeth are impacted because of a lack of room, then it’s very likely that they’ll need to be extracted. 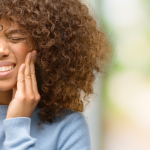 Some people choose to pull their wisdom teeth to prevent shifting later on, but contrary to popular belief, there is no scientific proof that doing so will help you avoid your teeth shifting. In fact, a lack of wisdom teeth can also cause shifting! The solution is to wear a long-term retainer (often a simple wire attached to the back of your teeth). You might also just need to wait and see. The angle of the wisdom tooth determines much, but is difficult to predetermine. Rather than choosing to extract so you have a false sense of security, bracesguide.com suggests simple, long-term retainer wear. 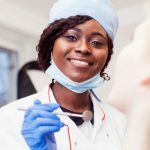 Each person’s smile is different, and only a detailed examination can determine whether you’ll need to get teeth extracted in the course of your quest for affordable straight teeth. For some people, extracting teeth can damage their profile. For others, extracting teeth is a must in order to prevent crowding. There’s also the question of how many teeth you have. It is not as uncommon as you’d imagine that someone has 31 teeth instead of 32, and that one of those missing teeth is an incisor or bicuspid. In that case, the orthodontist will give you the choice of having a symmetrical smile or of keeping the lone tooth and either filing it down or rounding it out to match the other teeth around it. Am I at risk for TMJ problems? TMJ stands for the Temporomandibular joint. One of the human body’s most complicated joints, it is highly complex, allowing for simultaneous chewing, sliding, and rotating motions. Problems that develop are referred to as Temporomandibular disorders (TMD). It is the opinion of some that the process of obtaining affordable orthodontics can have a negative impact on the TMJ, or that straight teeth surgery can actually fix a pre-existing TMD! One study did a comprehensive overview of other studies on the impact of braces on TMDs, and concluded that braces do not generally increase the risk of developing TMDs. In all of the above cases, there is no hard and fast rule. There is no one path on the journey to affordable straight teeth. The best way to go is to choose an institution with a reputation that you can trust. At Penn Dental Medicine, we use careful diagnostic procedure to ensure that you are treated for the problems you come in with. You can rest assured that we will provide you with the very best dental care so that you can finally smile with confidence! Do You Need Oral Surgery?